Interstate travel has become a favored method of travel year-round, especially during peak vacation times. In our mobile society, car accidents often happen while traveling out of state. When you get in a car accident in another state, it is important to already have adequate auto insurance in place and to speak with a personal injury lawyer to make sure your rights are protected. Does my auto insurance apply out of state? Each state has its own requirements on minimum auto insurance limits and whether no-fault rules apply. However, your insurance policy, to some extent, will adjust to the rules of another state. This means that if you are involved in an accident in Utah or another of the dozen no-fault accident states, your policy will apply to the accident as if it were a no-fault policy. If you are at fault for the crash and the state where the accident took place has higher minimum coverage limits, your policy will also adjust in that instance to meet that required minimum. The other state may also have lower limits than your home state, and the other drivers’ limits may not be enough to cover your losses. It is important to protect yourself from these kinds of situations by having Uninsured/Underinsured Motorist (UM/UIM) coverage in place to make sure you can be fully compensated. What happens if I am injured in a no-fault state? If you live, and have auto insurance based in, California or another fault-based state but are injured in a no-fault state, you must follow the rules of the no-fault state when it comes to compensation. For more minimal injuries, it would be necessary to file a claim against your own insurance carrier, regardless of who caused the accident. You would only be permitted to file a lawsuit against the at-fault party if you meet the threshold (a minimum injury or dollar amount of loss) established by that state. This can be a complex situation so be sure to speak with a lawyer who specializes in auto accidents first. 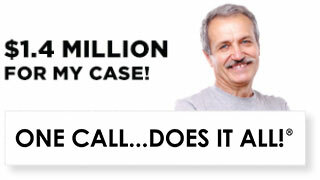 Can I pursue compensation from out of state? You do not need to be physically present in the state where the accident took place to negotiate an insurance claim. Most communications with insurance companies will take place by phone or email, and documents can be shared electronically. Things are a little more complicated when it comes to filing a lawsuit. Usually the state where the accident occurred will have jurisdiction over the lawsuit (though a lawyer may help you find an exception to this). Any lawyer you hire will need to be licensed to practice in the state where the accident occurred. It is most beneficial to work with a lawyer who has experience in the same local court where your case will proceed. A lawsuit will also require occasional personal appearances. With agreement of the other parties and/or permission of the court, you may be able to make some of those appearances by telephone or video chat. However, if the case goes all the way to trial, some in-person visits to the other state will be necessary. The best way you can protect yourself after an accident comes before the accident. Make sure you are adequately insured. Consider having considerably higher limits than your state requires. Make sure you have the highest limits of UM/UIM coverage that you can afford. This can be an invaluable safety net if you need it. After the accident, take the same general precautions you would take if you were in-state. Call the police and, if necessary, emergency services. Observe and document any injuries and property damage. Identify witnesses and exchange information with the other driver. Provide notice of the accident to your insurance company. 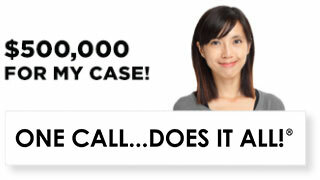 After an accident, you may face a flurry of phone calls. This is no different if the accident occurred out of state. 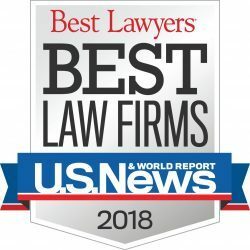 By retaining a Los Angeles personal injury lawyer early on, you can direct calls from the other party’s insurance company or other representatives to your lawyer. This not only saves you valuable time, but it also short-circuits the high-pressure tactics that adjusters often use to try to convince injury victims to accept an unfairly low offer. 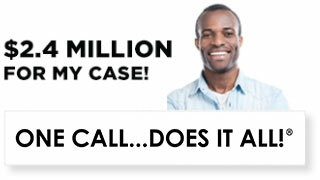 Dealing with an out-of-state accident claim or lawsuit can be confusing and time-consuming. Speak with one of the car accident lawyers from Ellis Injury Law as soon as possible to be sure your rights are protected. The lawyers at Ellis Law are dedicated to serving the needs of personal injury victims in Los Angeles and throughout Southern California. We strive to provide first-class personal attention in order to meet your needs. Consultations are always free and confidential. 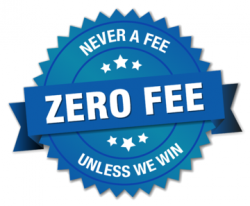 We never accept a fee unless we secure compensation on your behalf. Reach out to us today.